There has been much going in, including Regency plots (whole new wheelhouse for yours truly.) But luckily the sewing bug has returned. In the form of Once Upon a Time. Despite not getting to watch most of the fourth season (go away life I want to watch my show) I did give in and watch the season finale. I mean come on who wouldn't? I'm so happy Emma finally said that thing that she said to that guy w all know she wants to have tacos with. 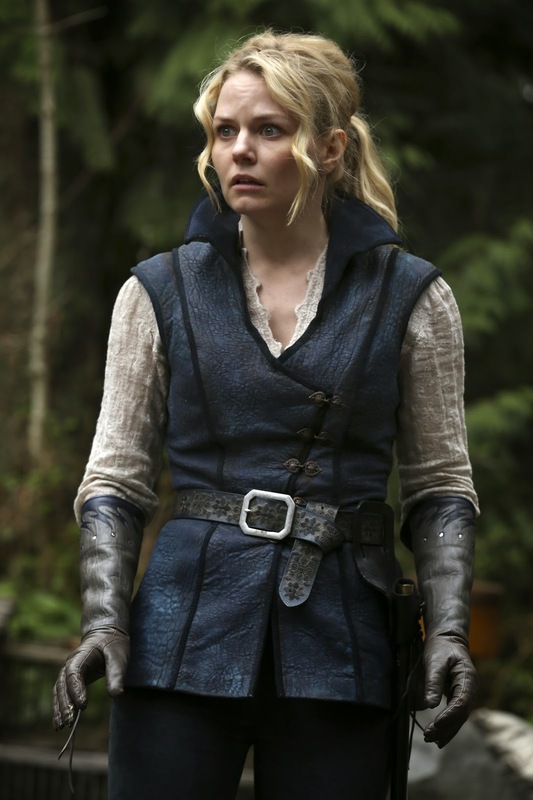 But I'm also really happy she got to wear Enchanted Forest Warrior Garb. Which is great because previously she hasn't worn anything that would work along side delicious Captain Hook's lovely leather doublet. This also means I have something I can wear.